Meet the RV Dental Team! Our dentists and team at RV Dental are dedicated to the oral health of families in the Thornhill and surrounding communities. We are excited to meet you and your kids! Our wonderful team of dental hygienists work closely with our family dentist Dr. Green to be sure patients receive consistent and informed treatment at the Thornhill practice. Our team is deeply committed to keeping up to date on the latest dental procedures and services and we always strive to stay current with latest technologies. All this and a very kind chair side manner make our office an excellent choice for those looking for a dental office in the Thornhill area and GTA. 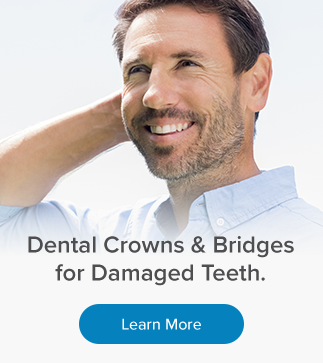 Get in touch today to learn more about how our oral hygiene programs can benefit you, or if you are looking for a cosmetic dental procedure to help augment your smile. There's lots to choose from and we are here to help! Narine became a certified dental assistant in 1998. After wearing many different hats within a dental practice she quickly came to the realization that management is where she is meant to be. She thrives on training and implementing new systems to provide a better experience for our patients and team. Her ultimate goal is to ensure that the practice runs smoothly and that patients feel they are receiving wonderful service from our office. Debbie graduated from dental assisting school in 1990, and has worked as a certified dental assistant for 12 years. She has been working at Dr. Green’s office for the past 8 years in the position of hygiene coordinator. Debbie is able to utilize her skills by working within both the clinical and administrative departments and is an asset to our dental team. Nanci is a University of Toronto graduate as well as a Certified Dental assistant from George Brown College. She has been working for over 30 years in the dental field and for the past 3 years has been Dr. Green’s Administrative Assistant Coordinator. She thoroughly enjoys being able to put her experience to good use as she performs a variety of tasks including: treatment coordination, accounts payable/receivable and acts as a liaison between patients and dental insurance companies. Her ultimate joy is being able to see healthy, satisfied smiles as well as welcoming new smiles to our practice. Hope to see you soon! Always interested in health-related career, Lisa started in dentistry as a dental assistant. Realizing her job in helping others through the dental profession, she furthered her education and became a dental hygienist. 26 years later, she has found the most important aspect of her job is educating patients not only on dental care, but maintaining overall health. Lisa has been with RV Dental team since 2011 and feels at home with the team atmosphere and their shared goal of caring for patients. Lisa enjoys spending time with her family, hiking, cycling and rollerblading. Rhonda has been practicing Dental Hygiene at RV Dental for over 22 years. She graduated with honors from Georgian College in 1989 and continues to be an active member of her local Provincial Hygiene Association. Her extensive experience in periodontal therapy and ongoing continuing eduation has provided a positive impact on the overall health and well-being of our patients. Her sensitivity to patient care has allowed her to develop lasting relationships. Rhonda is passionate about travel and the outdoors and her free time is spent with her 3 daughters. She is grateful to be able to do what she loves every day in an enjoyable work experience. Graduating in 1999 from Durham College, I spent the last 10 years working for Dr. Green’s practice. As a member of the Ontario Hygienist’s Association, I am continuously striving to keep current on the latest advancements within my profession. In have had the fortune of meeting many great clients and working with many great coworkers over the years. Graduating in 2006 as a Certified Dental Assistant, I am also a member of the Ontario Dental Assistants Association. I have been working alongside Dr. Green since March 2011 and I definitely enjoy working with him and the RV Dental Team. My caring chair side assistance and my knowledge of my profession definitely do not go unnoticed. For the past six years I have taken on the role of chair side assistant and I enjoy being part of both the clinical and customer service aspects within my profession. I’m Raquel Aguete, certified Level II Dental Assistant (CDA II) and a graduate of Medix College with Honours. I have taken steps to make sure that I keep abreast of developments that can improve my skills and enrich my professional experience. Pursuing a career in the dental field has opened new opportunities and has challenged me to achieve greater goals than ever before. With my newly developed skills and abilities, I have been able to make a positive impact on our patients at RV Dental where I am a part of a team of dedicated professionals who deliver a high level of commitment and care to our loyal clients every day. We are a close group of dental professionals dedicated to providing our Thornhill patients with long term oral health and personalized, planned care. Book an appointment with a member of our team today.